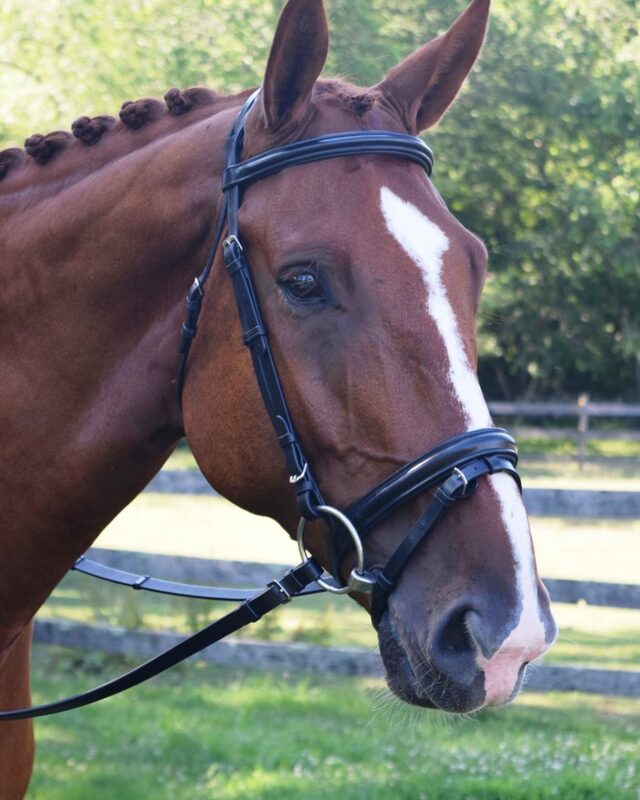 The Black Oak economy Larkspur Dressage bridle combines exceptional value, with the quality craftsmanship & details KL Select products are known for. The Larkspur features a clear crystal browband that adds sparkle and dresses up the extra wide flash crank noseband. The Larkspur has a 1 5/8” round raised noseband with extra padding for comfort of the horse, a padded 1” crystal browband, 5/8” cheek pieces and a soft padded threaded headstall. Comes complete with ¾” Dressage Reins. 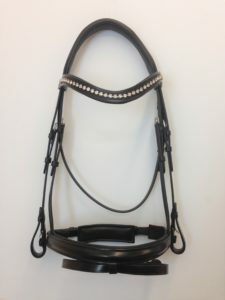 All hardware is stainless steel, with buckle ends, and a roller buckle on the noseband. This bridle is made in the finest drum-dyed domestic leather. The Black Oak economy Juniper Dressage bridle combines exceptional value, with the quality craftsmanship & details KL Select products are known for. Perfect for the Dressage rider who prefers a classical cavesson noseband, the Juniper features a 1 1/4″ padded round raised flash noseband, a 3/4″ matching browband, 5/8″ cheek pieces, and a padded, threaded headstall. 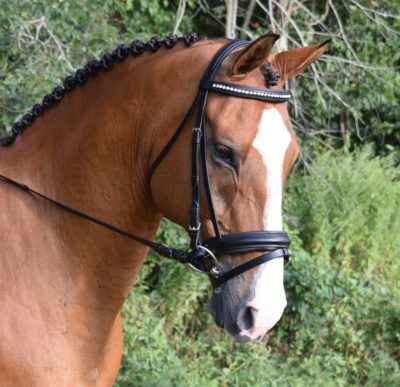 Comes complete with 3/4″ Dressage Reins. All hardware is stainless steel, with buckle ends. This bridle is made in the finest drum-dyed domestic leather.